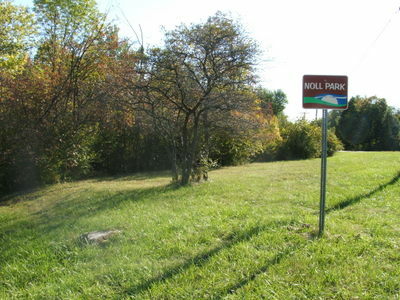 Noll Park is located at Taylor Street and N. Washington Road. History: Noll Park was dedicated on November 6, 1974 to William Frederick Noll. This piece of land was a gift to the City from Ms. Rose Fox and Mrs. Brett Lashell, the daughters of William F. Noll. This park features over 9 acres of wooded area with open space for picnicking.